If you don’t know how to remove ozone from your home, read on to find out exactly how to go on about it. Most people don’t put a lot of thought into ozone and what the dangers of it are. In fact, there’s a lot of people in the world who genuinely do not know what ozone is, much less the risks and dangers of it. Not knowing how ozone can affect your life, especially when it is trapped inside your house, can end up causing a lot of trouble for you and those who live with you. In fact, there’s even a good chance that you could damage the health of everyone in the house when you do not know how to properly remove ozone. However, once you understand the basics of ozone and what it is, you will soon be able to figure out how to remove ozone from your home. This will leave your home in a better, healthier state than what it was before. The first step to getting this done is making sure that you have a solid understanding of what ozone is. Having a good understanding of something is the first step to being able to control the situation. Ozone is a type of gas that can have harmful effects on your health if you are exposed to it for too long. 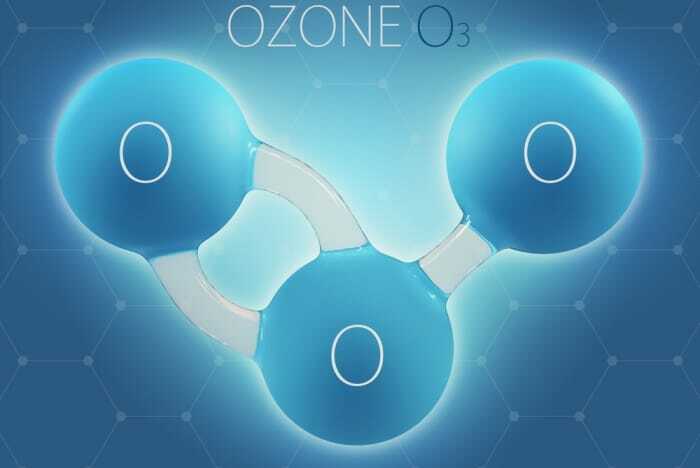 More specifically, each molecule of ozone is comprised of three oxygen atoms, giving it a description of O3. There are actually two different types of ozone, with each one being drastically different than the other. The ozone that is up in the stratosphere is generally considered to be the “good” ozone layer, as the reactive gas reduces the amount of UV radiation that reaches the Earth’s surface. However, when there is an ozone layer in the tropospheric level (or within six miles from ground level), this is where problems can occur. Tropospheric ozone affects the air that you breathe. Because ozone has a higher concentration of oxygen than the air that you generally breathe, long-term exposure can have long-lasting effects. Despite what a lot of people say, too much oxygen is actually bad for your body, as you need the other gasses in the air to survive. Generally, tropospheric ozone layers are only found in specific areas, such as urbanized environments and nearby locations. Ozone can be transported hundreds of miles downwind though, meaning that even smaller cities can feel the effects of a large city’s ozone. Now that you understand a little bit more about ozone, you will want to look into ways that you can remove ozone from your home. Of course, before you are able to actually begin removing the ozone from your house, you will first want to have a good idea of how much ozone is in the room. This isn’t something that you can physically feel, unless the amount of ozone is far, far higher than it should be. This means that if you want to be on the ball about keeping your home ozone free, you might want to invest in a detector. Depending on the type of detector you want, you should be able to find one for a relatively inexpensive price. This is a small investment to make for a choice that has the potential to change the course of your life, meaning that you should give it some serious thought. If you do not have access to purchase one of these monitors, there are still some ways that you can keep track of the ozone levels in your area. While this will not be as accurate as getting a reader that can measure the ozone levels within your own home, it will give you a good idea on whether or not you are in an area that is susceptible to high ozone levels. There are many websites that will give you ozone readings, as well as inform you of the ozone levels in particular cities. There are even some websites that can predict the ozone levels in the next few days, meaning that you will be able to properly prepare yourself for what is to come in the future. When you know that there is simply just too much ozone in a room, you will then be able to turn to one of the several solutions available for removing ozone from your home. Most houses will have some form of heating or air conditioning, and more often than not, this tends to be in the form of an HVAC unit. These units, also known as heating, ventilation, and air conditioning units, will often have filters equipped with them to enhance their performance. Some studies look at the effectiveness of using such a filter to remove the ozone from your home. Through this study, done in 2005, take a look at what the impact of doing such a thing would be. This study showed that HVAC units in both residential and commercial areas played at least a bit of a role in removing ozone from the air of the house. In fact, the amount of ozone was noticeably reduced within the first 30 minutes of the experiment. This goes to show that HVAC filters are a perfectly viable method of removing the ozone from your house. Some people would consider this the most simplistic way to remove ozone, as it doesn’t involve you purchasing a brand new device, but rather, just a filter. Aside from filters for your HVAC unit, there are a few other types of filters that you could consider to remove or reduce the amount of ozone in your home. For instance, activated carbon filters have been shown to have a good effect on reducing the amount of ozone in a house. Activated carbon filters, sometimes called charcoal filters, work by using a bed of activated carbon to filter and remove contaminants from the air, including ozone. As with HVAC filters, there have been a few studies done to test the true effectiveness of these filters when it comes to removing ozone from the air. During this study, which was done in 1999, a few different filters were tested: commercial filters and activated carbon filters. Over time, these filters worked to remove and reduce the ozone levels in the air, although over time the effectiveness decreased. This is a problem that is easily circumvented by simply getting replacement filters installed every so often. However, this shows that not only are HVAC filters useful for removing the ozone that is floating around in your house, but that other filters, such as activated carbon filters, can get the job done just as easily. Why Should You Monitor Ozone Levels? A lot of people underestimate just how important it is to keep the air in your house as natural as possible. A house that is filled with ozone is not natural. If you do not work to ensure that there is minimal amounts of ozone in your house, there’s a good chance that you and the rest of your family will begin to suffer the side effects. There are two key situations to pay attention to when it comes to ozone levels. You will want to pay attention to the symptoms that can come from short-term exposure and long-term exposure. Short-term exposure is generally uncomfortable, but it will eventually go away when you get out of the area that has ozone. The symptoms of short-term exposure, usually totaling to no more than eight hours, can include things such as a cough, throat irritation, pains or discomfort in your chest when you take a deep breath, and general chest tightness, wheezing, and shortness of breath. None of these symptoms are comfortable, and they can drastically affect your quality of life. These symptoms are reversible and once you have reduced the ozone in your area, you can begin feeling better within a few hours. However, it is a different story with long-term exposure to ozone. Long-term exposure to ozone can affect your body at the cellular level. After all, your body is designed to take in oxygen, and ozone is a more concentrated type of oxygen. This is a recipe for disaster. Parts of your lungs and airways will begin to deteriorate and not work as well as they would have. There will be increased instances of inflammation and injury to your airways. These are changes that can take a long time to heal, if they even heal at all. In addition to this, you might also suffer from an increase in small airway obstructions and reactivity in your airways. There will be a decrease in the integrity of the airway and the inner mechanism of the airway. This can compromise your ability to breathe easily and can make you more susceptible to chronic respiratory illnesses and cancers. These are just a few of the things that exposure to ozone can do to you and your body, and even more so to younger children, the elderly, and people who have sensitive respiratory systems. Nobody wants this to happen, especially when it is easily preventable through finding a way to reduce the ozone in a room. By taking the measures necessary to educate yourself on ozone, measure the levels of ozone in your area, and get the materials needed to reduce the ozone levels within your own house, you can begin to rest assured knowing that you are doing everything you can to ensure that you and your family are living as healthily and comfortably as possible.